I got this really nice book in the mail the other day! 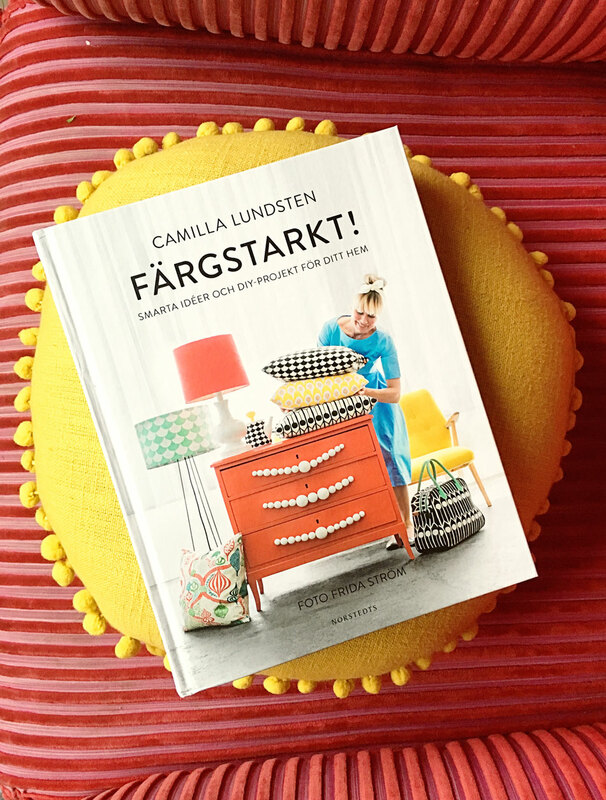 Färgstarkt by Camilla Lundsten who runs the brand Littlephant. The book is full of ideas, DIY’s and thoughts on interiors and colors. Image above from her own home. Love this idea with the shelving systmen in the same color as a square behind – and then picking up the colors again on the legs of the Ikea Ps storage! Her style is very playful and fun! And very much her! Cool! Camilla herself looks like a litte cute bon-bon! Those lamps are very fun! Thank you Camilla for the great book! Love it!